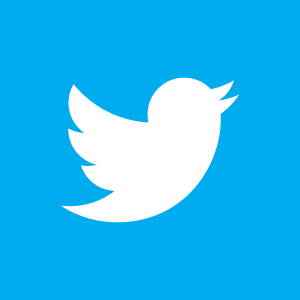 Evil Dead – If I hate the haters am I a hater? I just stumbled across Mimesis: Night of the Living Dead this morning while surfing Youtube and thought I’d post it. The film is set for a February 12 DVD/Blu-Ray release, while a “sequel”, the unrealated Mimesis 2 is in the works, based on Nosferatu. Being a jaded zombie enthusiast, I am just fascinated by the constant re-imaginings and remakes of the mighty Romero classic, Night of the Living Dead. It seems every year or so a new (usually crappy) vision of NOTLD crops up from the dark corners of the interweb. From the horrible NOTLD 3D to the upcoming NOTLD: Resurrection (sigh), it seems that people will never tire of butchering the classic. Will Mimesis turn out to be another weak re-imagining or a fresh new take on a played out classic? Check out the trailer below, it does look pretty good. Here’s hoping….. Evil Dead has been on my mind a lot these last few days and my anticipation for the films release (which has been moved up a week, thank god) is intensifying; so I squared away a few pages here dedicated solely to the Evil Dead. News concerning the film, trailers that are being released, posters and stills will be added to the new section. At the moment I have posted all the trailers I could find as well as some recent news, most of the stills that could be found and all of the posters. Just click on the link at the top of the page —> Everything Evil Dead or click here. Official Summary: Five twenty-something friends become holed up in a remote cabin. When they discover a Book of the Dead, they unwittingly summon up dormant demons living in the nearby woods, which possess the youngsters in succession until only one is left intact to fight for survival. 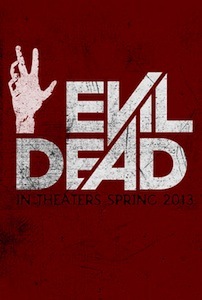 I’am all about the upcoming Evil Dead remake; for me it is probably the most anticipated horror film of 2013. I’m a huge fan of the first three films and have watched the 1st redband about 30 times since it debuted. Evil Dead 2013 looks right messed up, totally creepy and very bloody. Today I caught the second redband release and let me tell ya it’s f$%^n bloody! Real bloody. Check it out now! Right now! Night of the Living Dead: Resurrection. 2013. 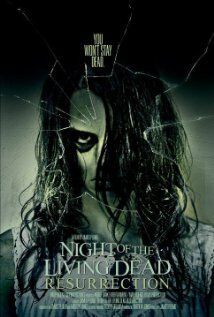 In 2012,the deceased have risen from their graves with only one instinct-to feed on the living. As the cities are over run and civilization crumbles, a family take refuge from the undead army in an isolated farmhouse in West Wales. Courtesy of IMDB. Apparently this is a UK based remake of the original Romero classic. IMDB states that the budget for this flick is estimated at 50k pounds…..that is troubling. I enjoy remakes (ya I know……I’m not one of the haters) but I really don’t see any reason to butcher NOTLD yet again. Two is enough. Actually you know what ? Slap a 50 million pound budget on this thing, attach Michael Bay to direct and produce; viola there’s your remake. If your going to butcher something, butcher it right! Anyway check the trailer…….yikes! 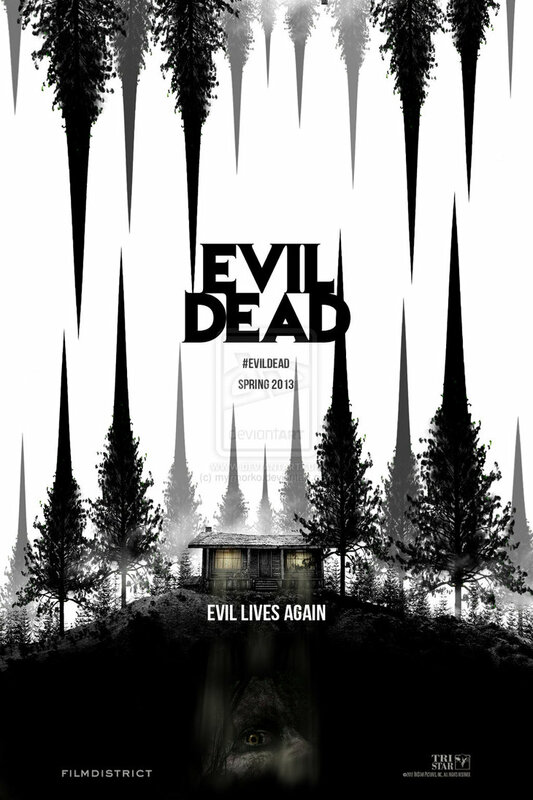 New poster is out for the upcoming Evil Dead remake, which I for one am extremely excited for. 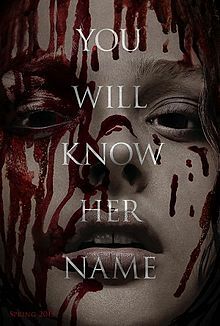 The tagline on the poster does make a pretty bold statement though don’t you think. Anywho, pretty cool! Next Up: no work for a week! 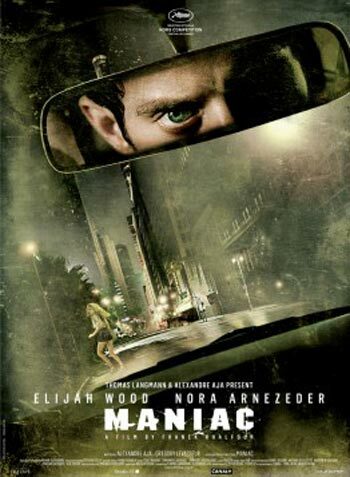 IFC Midnight has acquired all North American rights to director Franck Khalfoun’s remake of the 1980 chiller “Maniac,” starring Elijah Wood. I for one am very excited for this, hopefully it will be faithful to the original 80’s pyscho sleazefest. Can Frodo top Joe Spinell? We’ll see. If you haven’t seen the original do it and do it now it’s a bloody mess! The Texas Chainsaw Massacre. 2003. The Texas Chainsaw Massacre is a 2003 American slasher film, and a remake of the 1974 horror film of the same name. The 2003 film was directed by Marcus Nispel and produced by Michael Bay. It was also co-produced by Kim Henkel and Tobe Hooper, co-creators of the original 1974 film (Wikipedia). Just finished hour 10 of chainsaw buzzing craziness and my brain is turning to a bleeding pulp. I had to use some visine to keep my eyes from lighting on fire, which brings me to The Texas Chainsaw Massacre 2003. 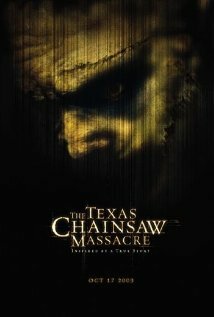 I know there are alot of remake haters out there but I for one like them, especially TCM2003. The film is a dark, violent and brutal reimagining of the classsic Hooper film. R.Lee. Ermey stands out in the film as does the stunning Jessica Biel. Im gonna go sharpen my chainsaw now………The Texas Chainsaw Massacre 2003 at IMDB. 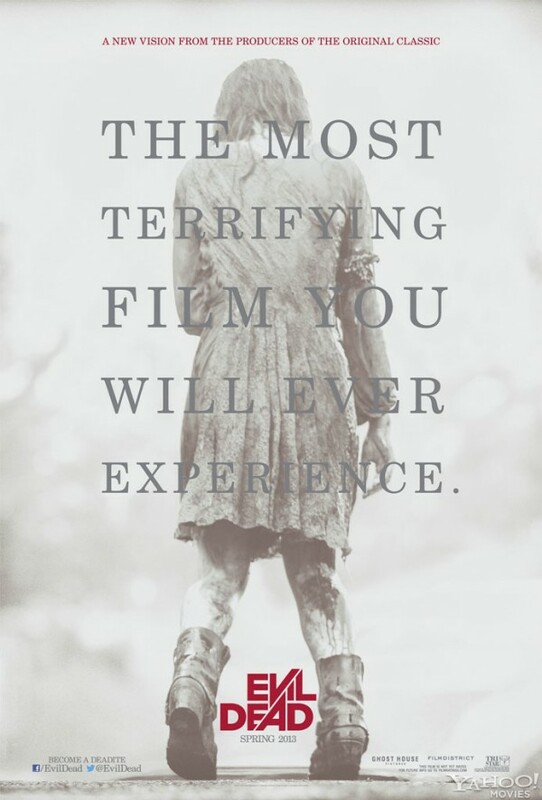 Killer trailer for the upcoming Evil Dead remake, I am pretty stoked for it….I think I’ve watched it about 20 times. Anyway if you haven’t caught it yet hit play, if you have seen it, hit play. Cheers and welcome to the first post of puremassacre!